Promotional products can be seen everywhere today and are popular because they work. The benefits to your company from such items can however be outweighed by bad quality products. We purchase all our products from reputable suppliers. We use high quality suppliers at very reasonable prices, who use highly advanced processes for printing, etching or engraving your logo, design or message to ensure that it doesn’t fade away for years to come. We are an online source that allows you to “see before you buy”. You can view how our products will look – before you buy. We also enable online collaboration with associates and colleagues who may want to see the promotional products you have selected. We are the suppliers of the most comprehensive range of advertising products to suit the unique and diverse requirements of our clients. From seminars to premium golf events, we provide you with a wide variety of options for promotional products to suit various occasions. Our team of experts can help you decide on the most appropriate advertising products depending on the occasion, target segment, budget and delivery times. We help corporations save time and money and back every single order with a complete satisfaction guarantee. Our sole business is advertising and marketing: promotional marketing products, incentives, premiums, business gifts or whichever name by which you may know them. Promotional products keep your business name in front of the public and your regular as well as your potential customers. They are used in promotional marketing campaigns, incentives to buy additional goods and services, and business gifts throughout the year. Reunion groups use advertising and promotional products much like business gifts, or in their case, mementos, to commemorate their reunion whether it be a high school, college or military reunion. Who doesn’t want an imprinted specialty item from their reunion? Clubs, associations and school booster groups use promotional products as fund raisers to get their names out to the public, supporters and potential new members and to declare their pride in their school, club or organization. All those shirts, caps and hats with imprinted messages, names and logos, by any other name, are still promotional products. They are used to provide others the incentives to join or “hear and see” the message. On this website, you will find everything (and anything) you will need to promote your business, association, club and even your high school, college or military reunion. Some of the items and business gifts you will find here include: buttons, balloons, coffee mugs, glasses, t-shirts, staff and golf shirts, magnets, caps and hats, calendars, jars, golf items, bumper strips, pen and pencil sets and even luggage, to mention just a few promotional marketing, incentives and premium ideas. All wearable items such as shirts, caps and hats can be embroidered as well as silk screened. Because we have a huge number of suppliers to choose from, our loyalties lie with our customers, not one particular supplier. Depending on YOUR requirements, whether they are time, quantity or price, we can match them to the right manufacturer at the best price with on time delivery. So take a minute or two and browse through our products with hundreds of promotional marketing and business gift ideas. We are sure you will find something that will tickle your fancy and satisfy your needs. Your next campaign can be successful! Let us show you how with our products. 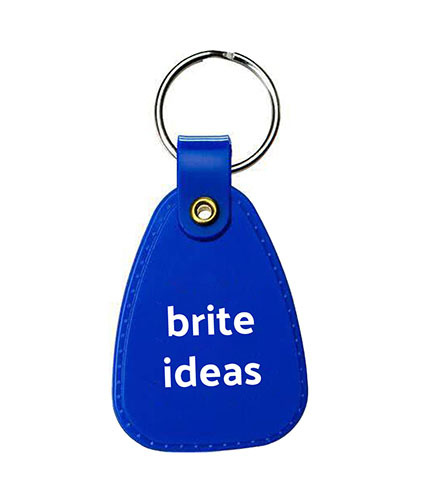 We have the ideas to help you find the best promotional products. We will save you time effort and money! Whether you need complete package event banners and sponsor signs, business decals, window decals, hobby decals, custom decals, mouse decals, medical decals, picture decals, model RR decals, holographic decals, photo-realistic large decals, windshield decals, custom auto, car, truck, motorcycle decals, automotive products, auto dealer products tags, vinyl decals, security decals, hard hat decals; roll labels; backlit signs, signs, patriotic car signs, traffic signs, casino signage, signs for casinos, bingo halls, VFW charity events, printed and promotional products; financial and banking products; warning signs, OSHA safety signs and decals, custom signs, photo-realistic signs, real estate signs, business signs, political and patriotic signs, fleet graphics, safety signs, magnetic signs; banners, custom banners, photo quality banners, business banners, vinyl banners, table banners, photo-realistic banners, inside banners, outside banners, advertising banners, digitally printed banners, street pole banners, grocery store promotion banners double sided vinyl mesh banner, trade show banner; point of purchase products; golf car graphics. We have promotional products for office products and signage; vehicle graphics, door lettering or magnetic on company vehicles, lettering and vehicles wraps on vans, cube trucks and buses, recreation vehicles-boats, cars, snowmobiles and wave runners; clothing, embroidered or screened garments-hats, shirts, polos, jackets; promotional items, personalized golf balls, pin flags, pens, coffee mugs, water bottles, cup holders, name tags; window lettering, car windows, truck windows, retail windows, office windows, buss windows; rigid signs, rigid street front signs, and dimensional lettering, wood, metal, plastic, Plexiglas, and polycarbonate; hockey and soccer board advertising dashers; sports related products, hockey, soccer, baseball, football, rugby and other sports advertising; school products – or one of hundreds of other promotional products, we can fulfill your requirements! This used to be Advertising Specialties. David would like the page title to be changed to Promotional Products and ad specialties should be changed anywhere it appears on the site. I already searched the text in this document and fixed it all, but just wanted to let you know.